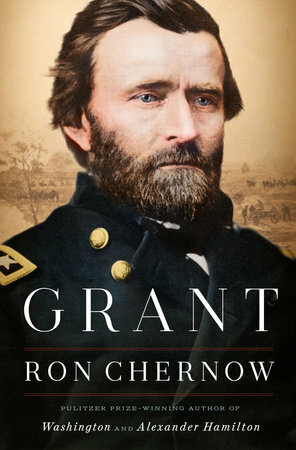 From the Pulitzer Prize-winning author of Washington and Alexander Hamilton, a massive new biography of the civil war general and president Ulysses S. Grant. In so many ways Grant comes to us now as much a mirror as a history lesson. As history, it is remarkable, full of fascinating details sure to make it interesting both to those with the most cursory knowledge of Grant’s life and to those who have read his memoirs or any of several previous biographies ... For all its scholarly and literary strengths, this book’s greatest service is to remind us of Grant’s significant achievements at the end of the war and after, which have too long been overlooked and are too important today to be left in the dark ... Chernow shows a fine balance in exposing Grant’s flaws and missteps as president, and the ill-fated turn that Reconstruction took after a promising start, while making it clear that Grant’s contributions after Appomattox were as consequential to the survival of our democracy as any that came before. As Americans continue the struggle to defend justice and equality in our tumultuous and divisive era, we need to know what Grant did when our country’s very existence hung in the balance. If we still believe in forming a more perfect union, his steady and courageous example is more valuable than ever. Chernow rewards the reader with considerable life-and-times background, clear-eyed perspective, sympathy that stops short of sycophancy, and gritty and intimate details ... Along with industrialization, continental expansion, and the rise of mass consumerism, the principal theme in this biography, as in the years of Grant’s life, is the role of the African-American in our history, culture, and economy. Here Chernow is unambiguous. Grant, who married into a slaveholding family and owned a slave for a time, regarded slavery as an irredeemable evil ... All of this has fresh relevancy for our time. In this era, when the meaning, impact, and statues of the Civil War-era are undergoing fresh evaluation, Grant very likely will emerge unscathed. The Chernow biography assures his place in the American pantheon for decades to come. Chernow is clearly out to find undiscovered nobility in his story, and he succeeds; he also finds uncannily prescient tragedy. There are ways in which Grant’s times eerily resemble our own ... Grant is vast and panoramic in ways that history buffs will love. Books of its caliber by writers of Chernow’s stature are rare, and this one qualifies as a major event. Chernow grapples with an enormous amount of material, while mostly sustaining a tight focus. He manages to put on Grant goggles and deal primarily with this one soldier’s role in the military, this one leader’s role in the Civil War. And then the role of one president — branded a political amateur — in leading a country still coming apart at the seams ... The book includes an awful lot of instances when Grant slipped up in his abstinence, but Chernow is deeply in his subject’s camp, always ready to play apologist about the drinking and other troubling behaviors ... Of course, Grant’s efforts to protect former slaves didn’t keep them from suffering after the war, in the backlash against Reconstruction. And Grant had trouble protecting himself as well, facing severe financial troubles after his presidency. Chernow’s indispensable book, which attempts to see Grant’s life as a triumph, is also steeped in tragedy. What did you think of Grant?